With each new phase in the Marvel Cinematic Universe, something new and exciting happens with a film that tends to break the pre-established mold. 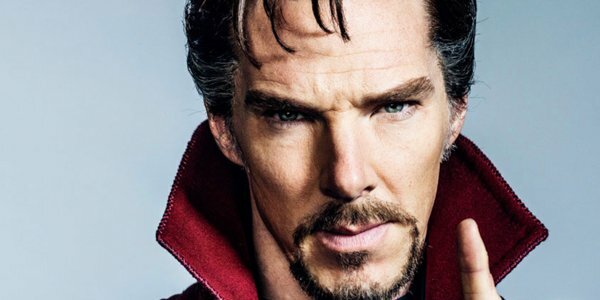 In Phase 3, those duties are left to Scott Derrickson's Doctor Strange, and judging by its star's remarks, it sounds like the film will live up to such a pedigree. It’s a very different feel, different hero and different set of circumstances to what we’ve seen before. It’s another moment during Marvel’s evolution. We felt free to go as far as we could imagine, so we’re doing a lot of things that I think have not been done before. Once we’d crossed a certain line we just kept going. Reading that quote from Benedict Cumberbatch reminds us of another certain Marvel film that pushed the boundaries of what was previously accepted in the Marvel Cinematic Universe. Call us crazy, but that sounds like exactly the sort of expectation that was set right before James Gunn's Guardians of the Galaxy was released, thus opening the Cosmic portion of the Marvel Universe. Only this time, it's the more mystical section of Marvel's comic canon that's being explored, as a Doctor Strange could lead to more magic users getting their own solo films. Of course, this is all contingent on Doctor Strange being a hit along the same lines as Guardians of the Galaxy, as any potential magic themed Marvel movies will need some sort of justification for existence. While Scott Derrickson's film does look like another promising Marvel film, any sort of under-performance may result in a re-shuffle in the Marvel Cinematic Universe's possible plans. If Inhumans could be dropped off the schedule without any sort of basis in the MCU's existing film canon, then who knows what would happen with a Doctor Strange misfire. Doctor Strange stands to enrich the Marvel Cinematic Universe with its unique subject matter. Bringing a brand new set of rules and powers to the table, Benedict Cumberbatch's sorcerer supreme is a crucial piece in keeping the Marvel Cinematic Universe moving into fresh territory. We'll see how effective his magic hands are when the film opens on November 4th.